The seamless gutters offered by ABC Seamless of Albuquerque to homeowners in Santa Fe, New Mexico, can enhance the water flow of your gutter system by protecting against blockages and overflows and will also increase the curb appeal of your home. This is done by custom fabricating your gutters right at your home to ensure that there are no seams in the gutter system and that they are a perfect fit from side to side. 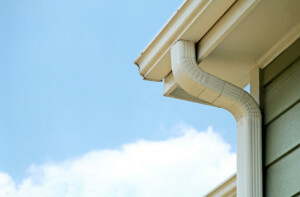 We’ve proudly served the Santa Fe, NM, area since 1989 and have developed a reputation for building gutter systems that last. This is demonstrated by the fact that you will never need to worry about any issues that may arise because we stand by all of the products that we install. We offer an unheard of limited lifetime warranty on all of our products in addition to the already top-notch manufacturer’s warranties. For more information about the seamless gutters that ABC Seamless of Albuquerque offers to homeowners in Santa Fe, NM, and surrounding areas, contact us today. Also, feel free to stop by our elegant showroom if you are interested in seeing all of our products in person.